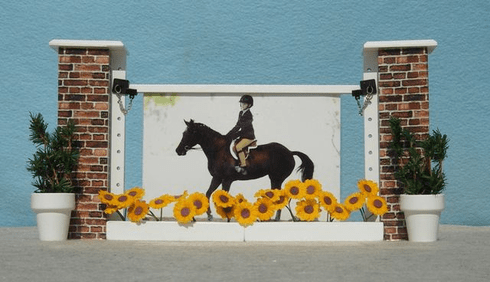 Brick Pillar Frame Jump includes 2 Pillar standards, 6x4 picture frame, 2 jump cups, Sunflower Flower box, 2 Greenery Flower Pots. Use to display or add it to a course. This jump is 6 inches tall. 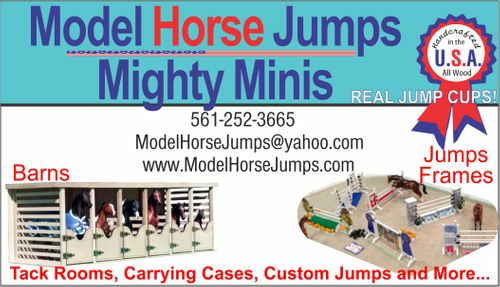 home | about us | email: Modelhorsejumps@yahoo.com | CartCopyright � 2008 Model Horse Jumps All Rights Reserved.